Assisted senior living centers are the ideal housing for elderly people with Alzheimer’s when living alone or independently has become impossible. In a senior living facility, residents get the constant supervision and care they need to manage their disease. Your loved one may be able to maintain some autonomy and control in some aspects of day-to-day life, depending on his or her abilities, but care is instantly available for any medical or social needs. A good senior living facility for people with Alzheimer’s ensures comfort, privacy, and dignity for all its residents—with the added benefit of nutritious meals, housekeeping, professional medical care, and security. Seniors with Alzheimer’s typically require assistance with food preparation, using the toilet, grooming, and bathing, and managing medication. A senior living center can create a program of regular tasks for the residents, detailing social activities, nutrition plans, exercise, and the like. The best senior living residences for Alzheimer’s patients also coordinate personal such as communication with loved ones and shopping. 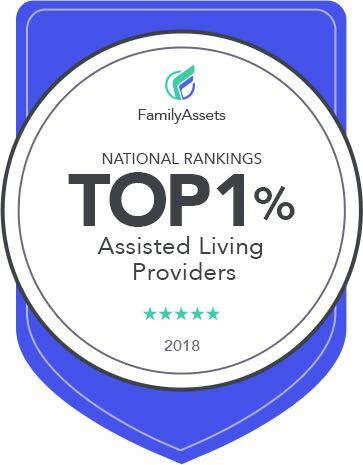 The Assisted Living Federation of America states that elderly care in assisted living facilities should encompass independence, quality of life, accessibility, dignity, and personal choices. The guiding principles of the National Center for Assisted Living highlights the importance of personal care. The staff in a senior home must strive to meet the cultural, intellectual, social, spiritual, and emotional well-being of its residents. Choosing the right senior living facility for a loved one who has Alzheimer’s is key to ensuring that he or she enjoy a high quality of life, world-class care, security, and a sense of belonging in a community. Choose a nursing home that is known for ensuring that its residents are treated with kindness and compassion. The programs should be flexible and tailored to the resident’s personal requirements and preferences.